The integration of mobile technology into the medical industry has revolutionized the efficiency and delivery of healthcare services. 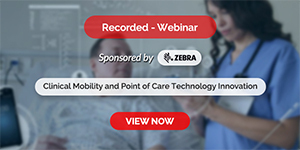 Once limited by distance and physical barriers, health professionals can now reach patients and other practitioners with ease. 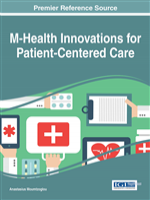 M-Health Innovations for Patient-Centered Care is a pivotal reference source for the latest scholarly research on the incorporation of mobile telecommunication devices in the health field and how this technology has increased overall quality of care. Highlighting various types of available technologies, necessary support infrastructures, and alterations in business models, this publication is ideally designed for medical professionals, upper-level students, and e-health system designers interested in the effects of mobile technology on healthcare delivery. The assortment of topics covered in this book includes Evidence-Based Self-Management, Handheld Devices, Laboratory Information Systems, Network Security, Patient-Doctor Interaction as well as Prehospital Emergency Medicine.